If you have been curious about improving your leadership skills or joining the best student extra curriculum organisation eveer! then you're in luck because AIESEC is interested in YOU. Quickly go through these reasons to join AIESEC today. 1. 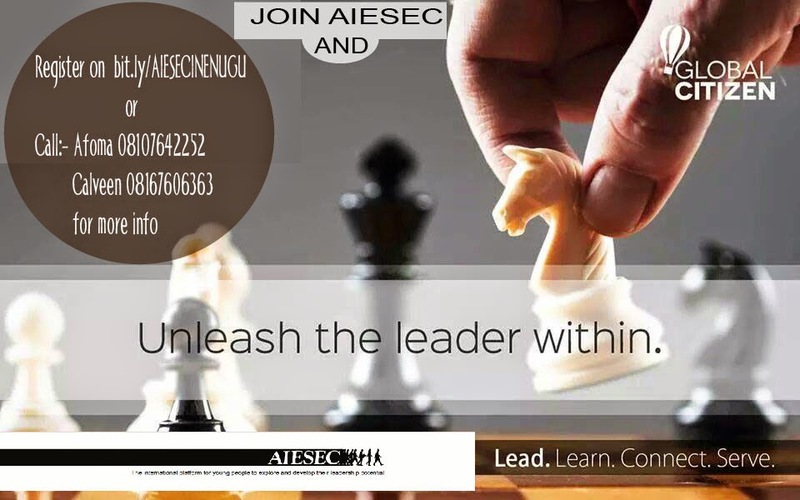 Go on a work abroad experience, develop your leadership skills. 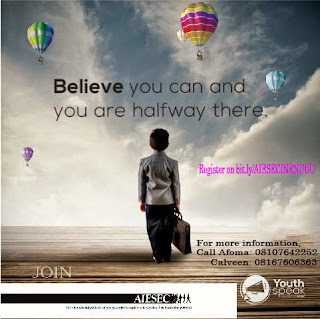 2.Network and meet new people in your university, around Nigeria and in 110 countries we are present in. 3. 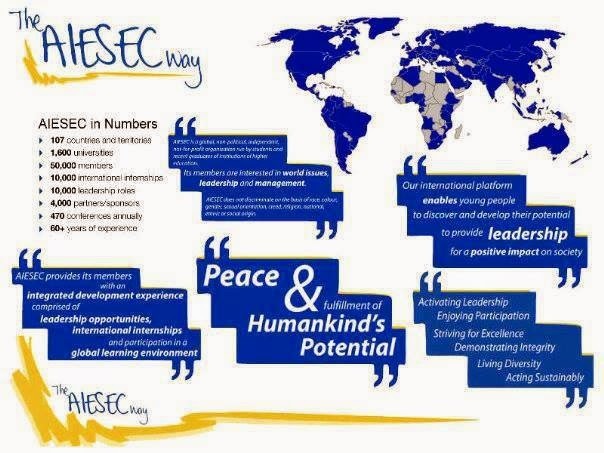 Be a part of a network of ambitious and talented AIESEC leaders around the world and utilize this network for the rest of your life. 4. Get the opportunity to travel to different places through the various conferences within and outside Nigeria. 5. Find a suitable Mentor who can guide you through your career decisions and many life experiences. 6. Cultivate a global mindset and develop entrepreneurial outlook in a flexible and customizable work environment. 7. Increase awareness on things outside your text book through practical international experience and on the job learning. 9. Being in charge and leading a team of 5-20 people, to develop leadership skills and competencies through practical application. 10. Gain experience in leading and managing a not-for-profit organization. 11. Get a competitive advantage for any job you will apply for in the future or career you want to pursue, and advance your employability. 12. Obtain experience with sales and account management towards local and multinational companies. 13. Engage in event planning or training in your areas of expertise. 14. Run an exchange project focused on a hot topic. 15. Learn to strategically plan, budget and mobilise other people to achieve goals. 17. Learn how to package and communicate your unique experience to organisations. 18. Network with companies who want access to talented young people. 19. Take your next steps in your career/future; put your plan into action. 20. HAVE A POSITIVE IMPACT IN YOUR SOCIETY AND THE WORLD AROUND YOU.